From Roses to Rainbows: Love It or Hate It? I hated math at the high school and college level. I worked my buns off to keep good grades but my heart and interest just wasn't in it. I appreciate that subjects like algebra force students to deal with problem solving and analytical thinking but those that spin it that it will come in handy some day are just bold face liars. (well unless one is to become a mathematician..gawd forbid. 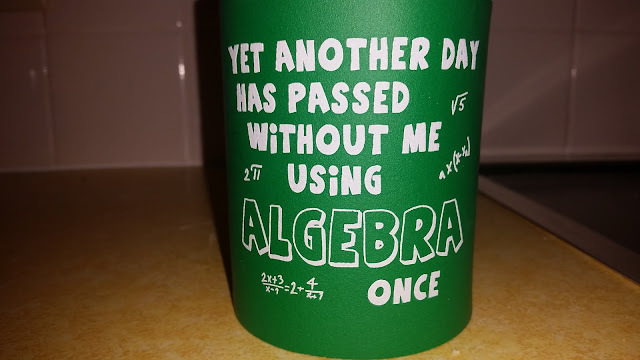 I am positive that most of my experiences with algebra were negative. I totally agree with the quote. It is true that we use numbers every day and for me it is shopping, paying bills, cooking, not solving a complex equation for the value of x.